– Kel*** Abraham, Rosedale, United States. – Arv*** Chouksey, Ottawa, Canada. "Thanks for the answer. 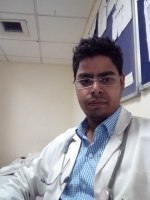 This relieves me a lot ..."
"Thanx a lot doctor ..."
– Kav*** Pandya, Gurgaon, India.